Remix is the first platform that brings together the entire transportation picture. 300+ cities worldwide trust Remix to manage how public transit, streets, and private mobility work together. 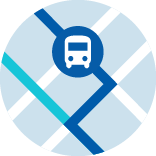 Plan public transportation from vision through implementation. 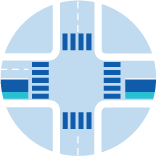 Envision, plan, and design streets for the multimodal city. Manage scooters and bikes, shape policy, and enforce regulations. I can change transit variables with transparency in Remix, and I see the trust growing in the public’s eyes. What's great is that more than just planners use Remix at our agency. Anyone here can use Remix to work on concepts, which allows us to get as creative as we want. There is nothing else like Remix in the marketplace. It’s so many tools in one resourceful package, useful and intuitive for experts and newbies alike. Remix makes the manual process of planning transit automatic. Remix helps me visualize options and test out different solutions on the fly. Remix is the first tool where we can play with our ideas and see the outcomes instantly. We just move a lot faster. We have better ideas because we can think continuously. With Remix, cities play a proactive role in shaping their transportation future. See an in-depth demo to learn what Remix can do for your city.